Let it clear to everybody in Abia State that PDP is now an opposition party. The duty of the opposition is to oppose bad policies and not to impose. They have lost the control of the government even though they are still occupying the position temporarily. They must not forget that they are outgoing government. The earlier they understand it the better for them than crying like hen that lost its chicks. 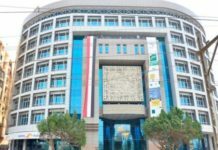 Those protesting in order to impose their sacked governorship candidate that was legally removed are doing political masturbation because when the judgement was in their favour no one goes to street protesting it. Even those insulting people on social media in the name of supporting Abia PDP should check their psycho. Such persons or people are prodigal in nature. Any parent that has a child that is still supporting PDP especially in Abia State, forget about the child because she or she is a lost child and might hardly be useful. What reason will you give to continue supporting PDP in Abia State, is it that someone underdeveloped the state as a governor for 8 years and later shameless took senators to inspect how much he underdeveloped the state. 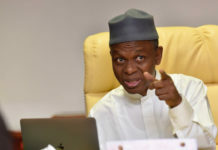 Is it that someone never remember that there should be a scholarship board for his 8 years of administration and now as senator listing students for bursaries -Kangaroo scholarship while some senseless maggots looking for free roadside faeces to devour are there shouting scholarship! Scholarship!! My Abia people should know that there is difference between scholarship and bursary who even knows whether it is real or not after all roads were built in the pages of newspapers before now in Abia State. 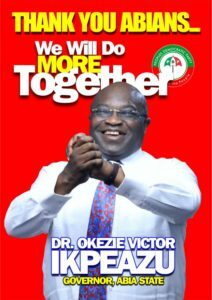 There is big difference between supporting PDP in Abia from supporting Dr. Okezie Ikpeazu. 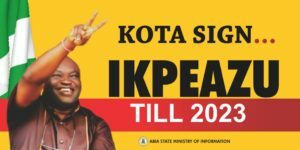 The people protesting are protesting for PDP and their stomach not for Ikpeazu. They are protesting because of monthly payola been shared to them from the state allocation. They are protesting for their stomach infrastructure and not against the ruling of the well deserved appeal court verdicts. That is why they are hiding under tribal or sectional sentiment and flaming the state polity. 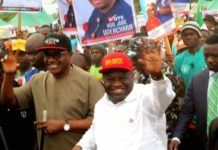 One might ask how to separate Dr. Ikpeazu from PDP; the answer is for another day but anyone protesting for Ikpeazu Okezie who looks peaceful without making vituperative or cacophonous statement should never incite anyone to violent. 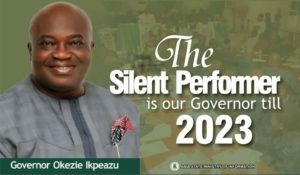 If they are the disciples of Ikpeazu, they should really be acting like their master but every sensible person knows the disciples of who they are. For Example when they robbed Dr. Uche Ogah his victory in PDP primaries, we all wanted to rise against it through protest, but Dr. Ogah as a proven peaceful and humble man calmed all of us his supporters down. 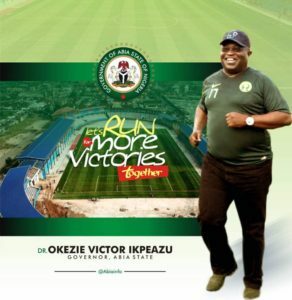 That time, all of us that saw him as a promising messiah of Abia State should have set the state ablaze. But his words I quote “Chuks Politics should not be do or die affairs and after politics there is another place (heaven) we are going” this words alone made me believe that there are still wheat in the means of weeds. Anybody having sympathy with corrupt filled party or pressure group like PDP Abia State is either corrupt or have stealing and crime in bloodline, if not its father, it will be great grandfather. Good people should never have moral support for crime. Any man that said he has not cried before even when bereaved should visit Aba, Abia state, he or she must have reason to cry. Abia state voted for Alex Otti not because of where they are but because of where they are going. Whether Alex Otti is a saint or not, Alex Otti is a step to where Abia is going. Alex Otti might not be the Jesus Christ of Abia State but he is a John the Baptize of Abia State the forerunner to set precedence. It is senseless for people to be shouting on media when a decent law enforcement agency is doing their Job and they called it witch hurting. Anyway witch hunting is for the witches and wizards and if ones hands are clean why being afraid of DSS. Are people not more secured to cut them to their sizes with DSS than using kidnappers that was been used to against the opposition in Abia State? If reckless politicians in Abia State are crying like this with just DSS visiting, Ebere Nwaagbara should have been crying more because what happened to him should better imagine than experience. DSS should be a soft landing for reckless politicians in Abia State who do not mind their utterances and are flaming the polity because at the end, they would not be asked to pay ransom to release if they are not find wanting. Let the happenings of this season in Abia state be a lesson to everybody because no one is above the law and people should control their tongues and amend their ways. 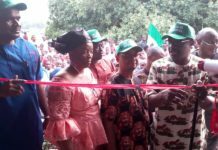 The displays we saw during election in Abia state is even enough for DSS to be visiting more people, Abia was hot during election and the people faced lots of intimidation therefore more people need to call for questioning. As far as Abia issue is concern, DSS should be commended not criticized; they should extend their visiting not only in Abia South but also in Abia Central and North. 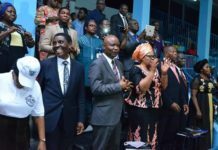 Those that made attempts on the life or plotted against Dr. Uche Ogah (which was exposed) should also call for questioning because everybody heard when he raised the alarm and never hear that the matter has been investigated. 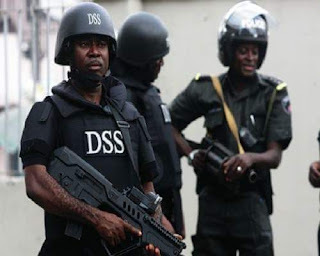 DSS should even give Abians platform to reach them directly so that more information should be given to them on security matters any moment there is need to do so. Rule of Law must be supreme in Abia State and everybody should mind his words and actions irrespective of political ambition and demands. 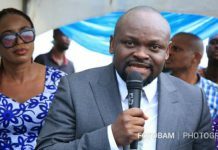 From Chuks Digits: He is an aboriginal Abia Citizen, International Preacher and Software Specialist.